We really are bang up-to-date by including this series! Yup ! By the way, where is this series taking place ? I see the present day Police Rover 75s have Birmingham plates, but the Audi 80 is from Exeter and the Cavalier from Manchester. You're 'unknown' episode 02 - in between the main character and the policewomen is an Imp. Likely to be a Sunbeam Imp Stiletto rather than a Hillman Imp as it looks from this angle like a fastback. 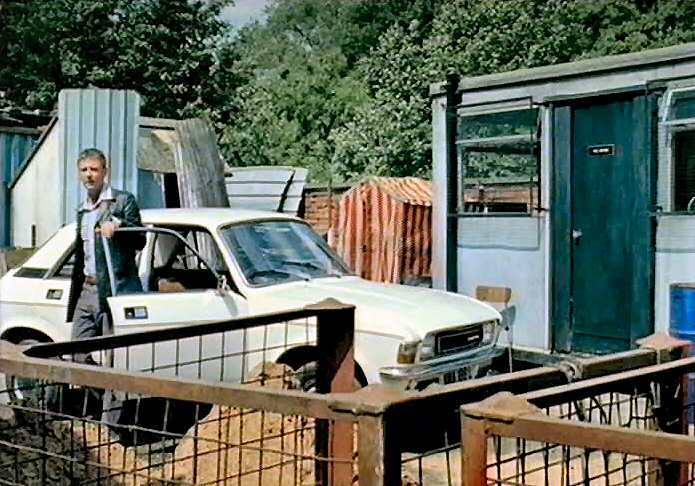 Just one other question - the Ford Zephyr police car in ep 01 - would they have still been used in 1973? Or is it a way of paying homage to 'Z Cars' as well as the 'Sweeney'? If so cool, if not - oh well, I always loved the Zephyr anyway!! 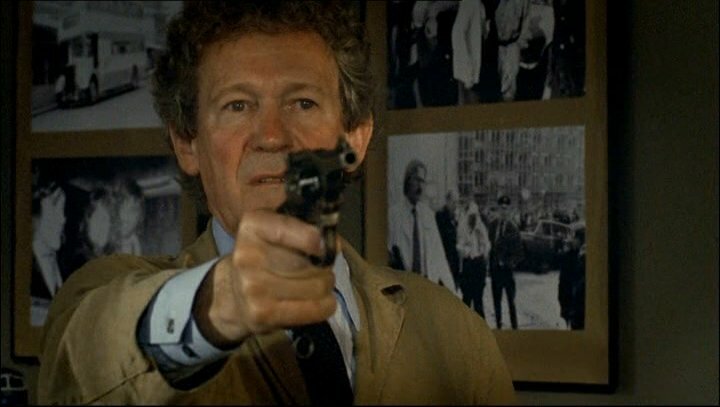 Set in Manchester, shot reportedly in Manchester and Stockport. The Zephyr's a G-reg, so not that old in 1973, but I have my doubts about it being correct for the 1970s. They're working with a pool of restored cars, so I guess they're making use of what they can get - look at the other police cars, a Viva and an Allegro (so far). 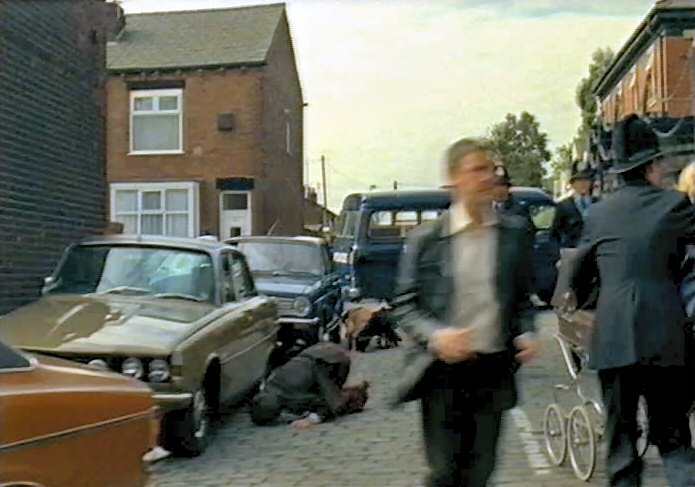 And it's great to see a Sweeney-type Cortina and a Z-Cars-type Zephyr together. SteveA ..No big problems here ...but could you fill us in on the Star ratings please.! Quote SteveA ..No big problems here ...but could you fill us in on the Star ratings please.! Done - some of the ratings may change as the series progresses. Most of the vehicles are only seen fleetingly, but it's wonderful to try and spot them! Quote [quote]SteveA ..No big problems here ...but could you fill us in on the Star ratings please.! ..Thanks Steve (..from another Steve.!) ..The star ratings help alot.! (..I'm having the same problems with "Chips" ..about adding more stars to vehicles ..as the show progresses.! )..and also..having fun..trying to spot models of cars...not yet listed ...or unusual.! Star rating for series is somewhat difficult: in some cases the rating is for an episode only, in other cases it is for the whole series. I have been watching this series so I have posted some star ratings. There is 2, the Cortina and Capri and Cortina and Rover P6. Which episodes are they in? I'm assuming the Ford Capri chase is in episode 5 but what about the other one? So there's a new series out! Anyone want to get pics? The second series has begun. *Police car in hospital scene – no idea. *BMC van, brown, again: still unidentified. I was wondering, is there a continuity error in that the Avenger that blows up is the same as the stakeout car in the previous series? Donington wrote I was wondering, is there a continuity error.. It is the same model with same wheel trims, it has the same plate (for filming maybe), but the colours are different. Take a look at the Hillman images entry: one green <> one blue. I put an entry in to mention the colour difference, but looking again, no other grab colours have changed so dramatically... But the continuity would be correct, no? 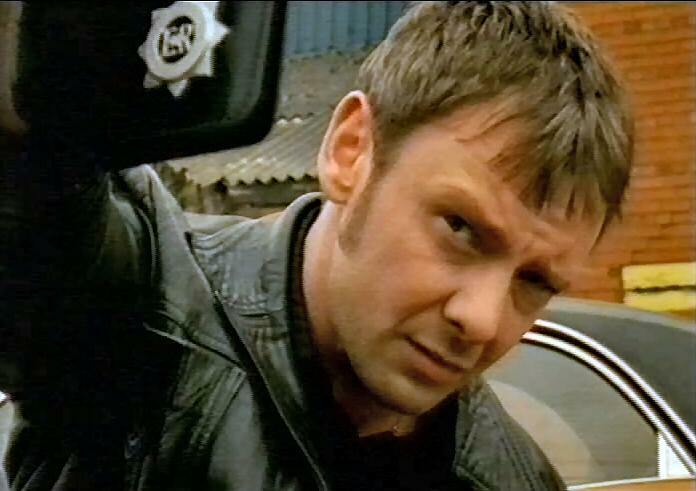 you're nicked, son. ...remember sherbet dips! I can do all the remaining episodes from series two. Has anyone done already, but not posted? The Avenger is the same vehicle,and was Met' blue not green,never was green,i know i drove it.The white Viva police panda car is not 1966, its a 1970 HB and its mine Reg: No: MEY 550H. 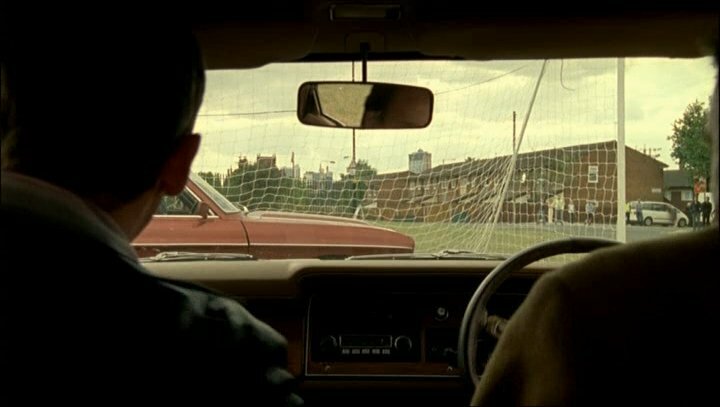 the Tobaco leaf brown Rover P6 in S2 EP3 & 7 was also mine, Reg:No: MJC 975L.The Ambulance in S2 ep3 is also mine, hope that helps a few people out. I'd rather thought that was a TR6 in LonM 2:4. That looks like a Capri in the background. The Elan is on the right. ... I would also like to see more of the 'Leyland Redline'. 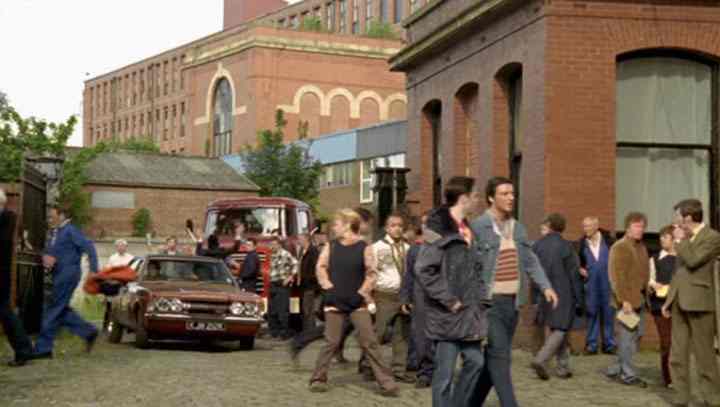 The Austin/Morris/BMC luton brown van (episodes 2.02 and 2.03?). Has anyone access to the remainder of this series? 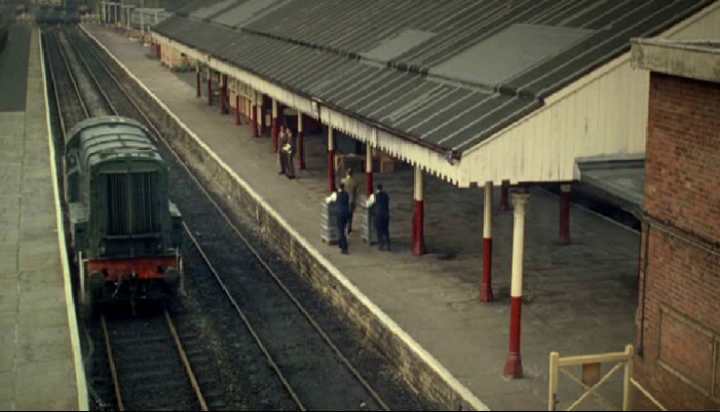 I can only add vehicles from the last episode, as it was repeated after the first showing of the sequel 'Ashes to Ashes'. Star Wars Fanatic wrote Which episodes are they in? 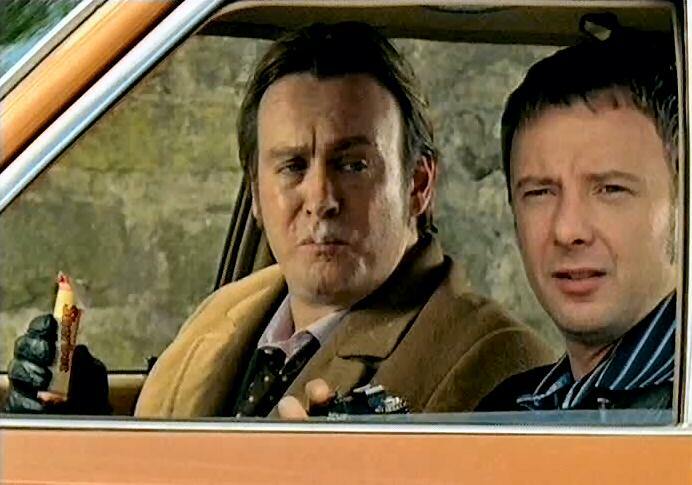 I'm assuming the Ford Capri chase is in episode 5 but what about the other one? Its the wrong way round!!!!!! Episode 1.03 a truck with a LAD cab so Leyland, Albion or Dodge seen in the background. Hey guys! Tonight, I've seen the series premiere of the US version of Life On Mars which aired at 10/9c on ABC. NB: I've seen this premiere via the English-Canadian Global Network. The NY Sam has a cool car, don't you think? Do you know what type of car American Gene drives?